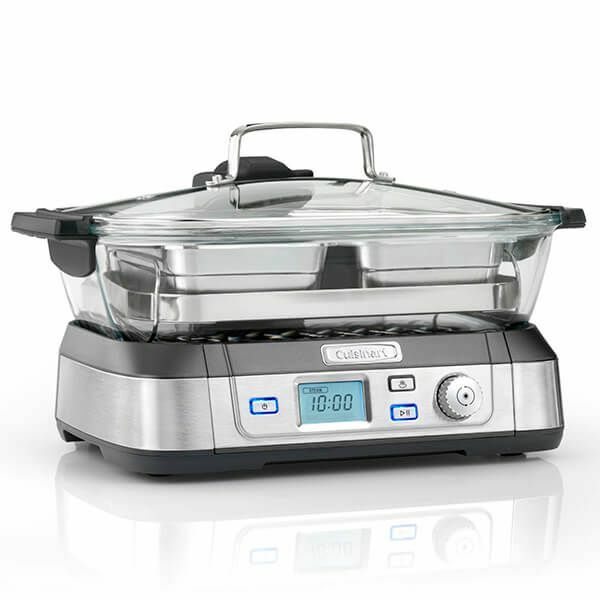 This Cuisinart professional cookfresh glass steamer creates efficient steam from above the food for quick and even distribution allowing for even cooking. 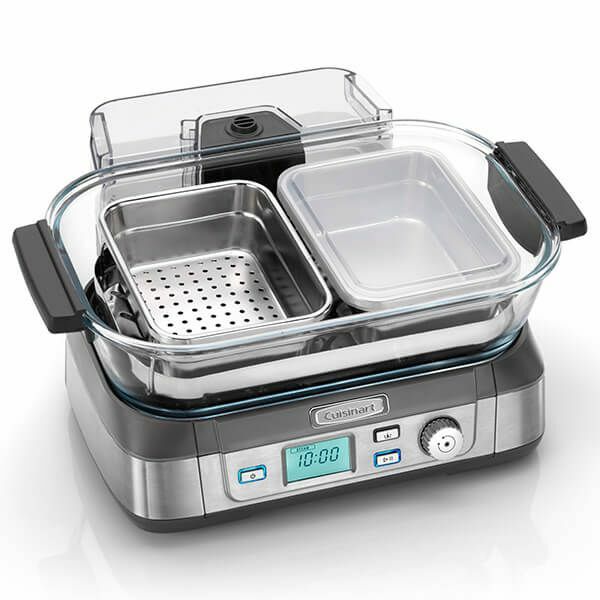 The cookfresh steamer heats up ready to steam in 30 seconds and the glass chamber maintains moisture and texture in your food. Cooking with a steamer retains nutrients and vitamins and reduces the need for extra oils and fats added to the cooking. The large generous sized steaming dish allows large quantities to be cooked at once saving time. The cookfresh glass steamer is stylish and looks great on display for serving straight to the table. A digital timer is displayed on the front of the steamer for ease of use and clear timing.